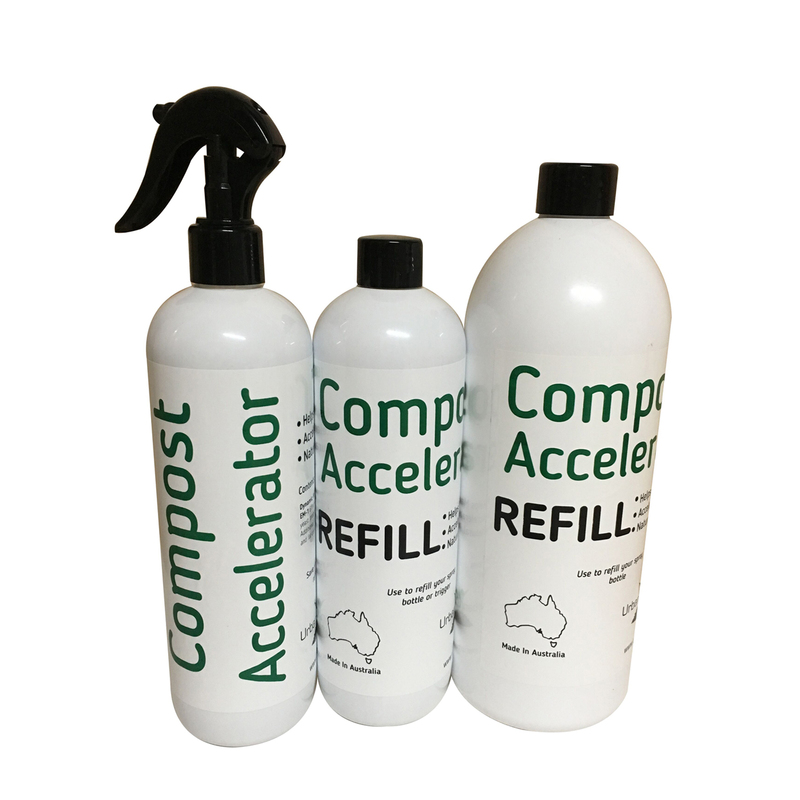 Made in Australia, this bokashi Compost Accelerator spray is a dynamic fermented fruit extract which contains Effective Microorganisms (EM-1) that work to ferment and help break down the kitchen scraps placed in the Urban Composter Family and Urban Composter City. It is a proprietary mixture of important probiotic, beneficial microorganisms that are known to work cooperatively to provide tremendous benefits for soil and plants. Each 500 mL (17 fl oz) bottle provides a 3-4 month supply, depending on use. The Compost Accelerator not only helps to ferment your kitchen scraps to allow them to break down into compost within only 6 weeks (instead of as long as a year in a regular backyard compost bin), but the bokashi juice that collects at the bottom of your Urban Composter is a fantastic fertilizer for your garden and houseplants, and it also helps to revitalize septic systems (so go ahead and flush some of it down your toilet!). This bokashi juice is VERY potent! Use it diluted 1:100 (approx. 2 teaspoons per litre of water) for watering plants or soil (yes, it’s amazing for improving soil health too), or undiluted for drains and toilets/septic systems. A 100% organic microbe solution, the Compost Accelerator is ideal for use in bokashi bins of all types and works much better than bokashi bran.